At Magnum, we’re proud to offer our customers a wide range of accessories for their trucks. 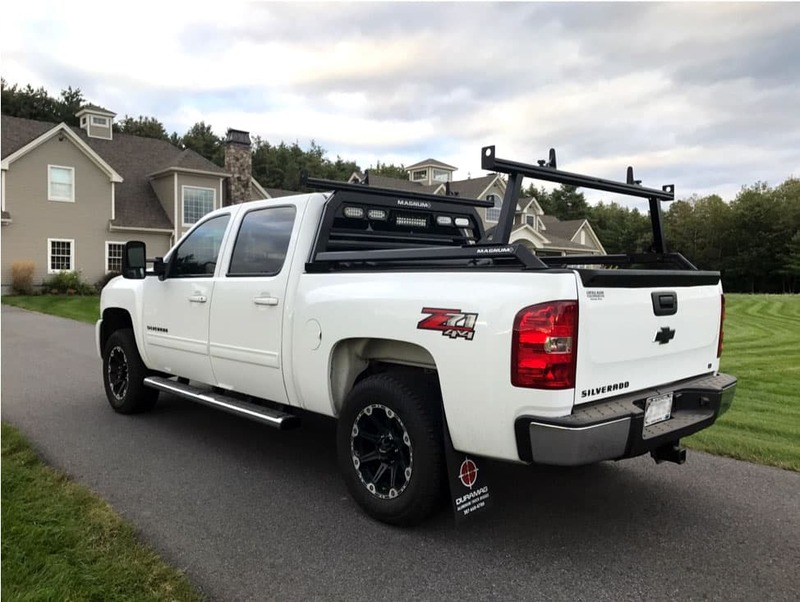 Whether you’re looking to add a visual upgrade to your pickup truck with one of our racks, or you need a functional upgrade for your job, one of our many headache rack options will be a great choice. In addition to headache racks, Magnum also builds accessories such as rail kits, rear racks, extension tubes, and even lighting upgrades. If you’re already using Magnum products, you may be looking for another truck accessory to enhance your ride even further. We’ve done the research and found a few of the most popular accessories that truck owners are adding to their vehicles. What: Nerf bars are pipe-like accessories that attach to the side of your truck and provide an additional step for the driver and passengers. To some extent, nerf bars help protect the portion of the truck that they cover. Why: Nerf bars allow a truck driver to quickly clean their shoes before entering their vehicle. However, due to their tubular shape, they can oftentimes be slippery. To address this issue, many nerf bars offer a rubber area to provide improved traction. Recommendations: Nerf bars come in a variety of lengths and materials, which provides consumers a lot of options during your search. It’s important to do your research before purchasing a set of nerf bars to ensure you’ve considered the best size, style, and material for your needs. What: Grille guards protect your truck from debris like rocks, stones, and high grass. Additionally, they provide extra protection in the event that you are in an accident. Why: Grill guards share similar traits as a Magnum headache rack, it provides enhanced aesthetics and protection for you and your truck. Especially if you are someone who enjoys going off-road, a grille guard is a perfect accessory to add to your truck. Recommendations: Any truck owner who goes off-road with regularity, we highly recommend looking into purchasing a grille guard. Thankfully for truck owners, there are a variety of truck accessories that provide better functionality as well as a more rugged appearance. When searching for ways to upgrade your ride, be sure to look for auto parts that not only add better protection for specific areas of your truck, but also give it a cool look. If you are in the market for primary truck accessories, we recommend you start with Magnum and our variety of products including headache racks, rail kits, rear racks, and LED lights. Nothing in the accessory market will add more value (aesthetically and functionally) than a Magnum headache rack with LED lights.